ERIC P. BETZNER is a Partner with Yablonski, Costello & Leckie. His practice focuses on representing clients who have sustained injuries or developed disabilities, primarily in the workers compensation area. He is a1987 graduate of the University of Pittsburgh School of Law and has been with the firm since that time. Mr. Betzner is a member of the Pennsylvania Bar Association’s Workers’ Compensation Section Council, which consists of only 25 workers compensation attorneys statewide. He has been recognized every year since 2006 by Best Lawyers in America for his expertise in the workers compensation field. This recognition is based primarily on surveys of other attorneys who practice in that area of law. Mr. Betzner has achieved an AV Preeminent rating of 4.6 out of 5.0 through the Martindale-Hubbell Peer Review. An AV Preeminent rating is a testament to the fact that Mr. Betzner’s peers rank him at the highest level of professional excellence. The ratings are an objective indicator of a lawyer’s high ethical standards and professional ability, generated from evaluations of the lawyer by other members of the bar and the judiciary. 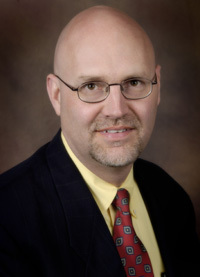 He has presented numerous presentations on workers compensation law in seminars for the Pennsylvania Bar Association, the Washington County Bar Association, various unions and other groups. Mr. Betzner is also known for his experience and expertise regarding the Heart and Lung Act and Act 534 cases, which provide additional benefits to certain types of workers, such as most law enforcement officers and prison and state institutional employees. Mr. Betzner also represents clients in Social Security and Unemployment Compensation cases. Additionally, he has served and continues to serve as the solicitor for various municipalities and municipal authorities.